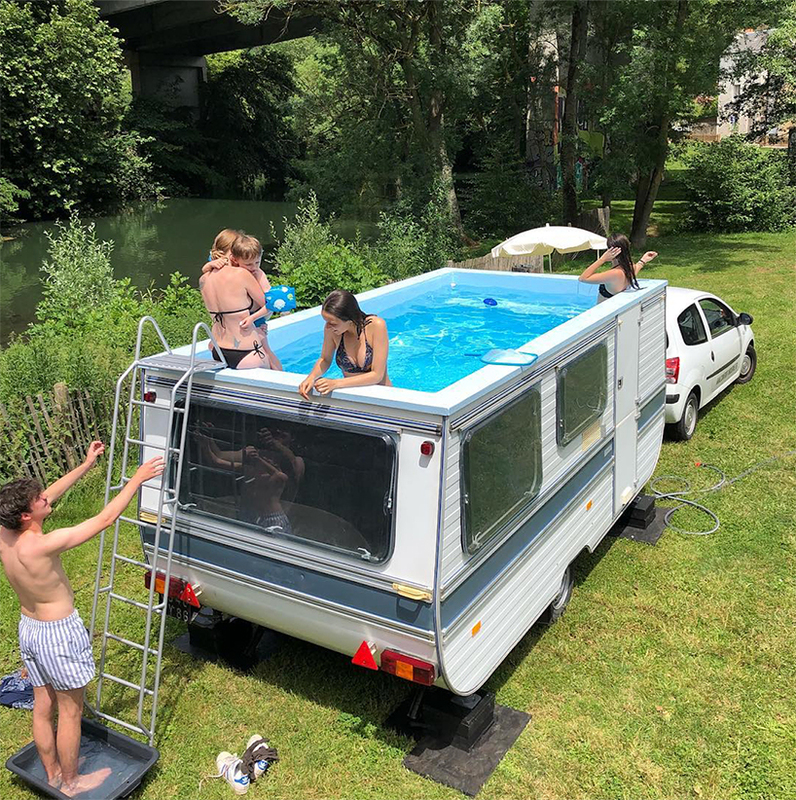 to transform the old camping trailer into a movable swimming pool, benedetto bufalino removed the roof, emptied the interiors and retrofitted the body of the car in order for it to hold the water. 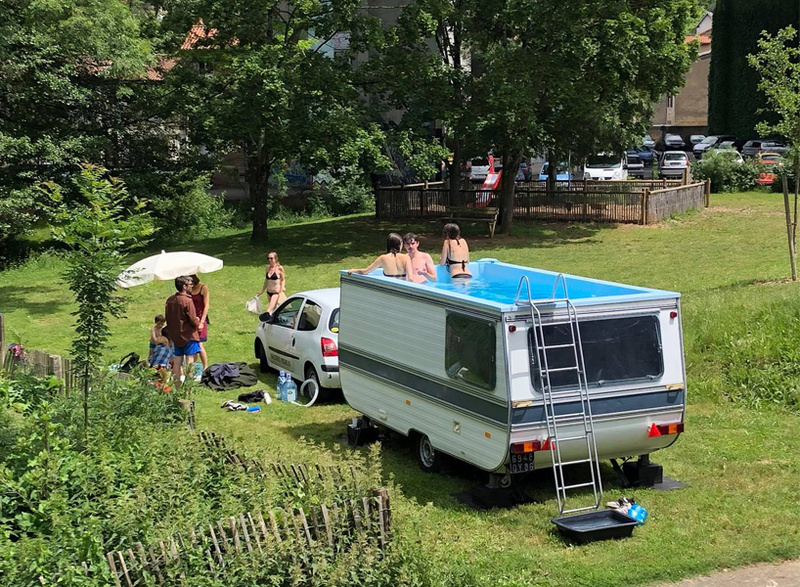 a ladder has been placed on the back of the vehicle, allowing people to jump into the pool. 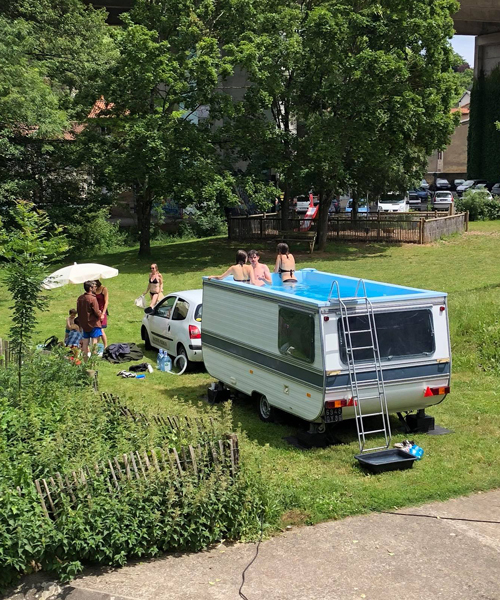 this is not the first time bufalino turns old cars into functional objects; earlier this month the french artist hacked an old ford mondeo into a fully functional wood-burning pizza oven. Where are the people that were complaining about that “Pizza Oven Van” post of last week? Only difference here is that the title is the normal db format instead of something from a fb ad.